What are Barclaycard credit cards? 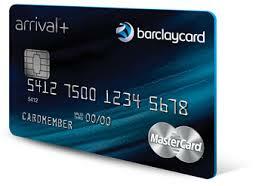 Barclaycard credit cards have been issued to South African consumers for more than 40 years. These credit cards have been dubbed as owning a “passport to an international playground”. Benefits offered by Barclaycard are numerous, but unlike many of its rivals, a Barclaycard does not lock its clients into additional and expensive offerings such as rewards programmes. The credit cards do, however, offer all the basics expected by cardholders, including purchase protection, travel insurance and free access to airport lounges.